Last week the cards predicted that Bitcoin would rise up in dominance against the alts and Charting Chad thought the price would boost up to around 8k. Then the price boosted to around 8k while the bitcoin dominance index shot up rapidly. How does this leave their grades so far? 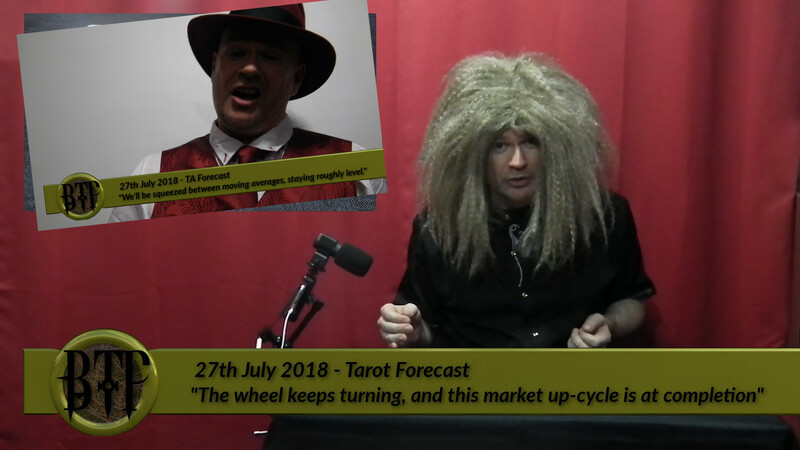 What will they predict for next week? Who is winning? And can we ever prove which is better: Tarot or Technical Analysis!? Watch this week’s show right now to find out. [*TA-Synopsis] We’ll be squeezed between moving averages, staying roughly level.